Walk into any drugstore and you'll quickly see why the supplement industry is worth around $37 billion annually in the US alone: there are pills to make you sleep better, poop better, relax better, focus better, beat cancer, age better, be better. The idea of natural health boosters is inherently appealing. "In medicine, we are primarily concerned with illness," says Dr. Steven Lamm, professor of medicine and the medical director of NYU Langone's Preston Robert Tisch Center for Men's Health. "But the public has a very strong desire to promote wellness. This has created a kind of void -- and things like vitamins and supplements have rushed to fill it." Unfortunately for those seeking to fill the void (who isn't? ), there's a near consensus among medical professionals: vitamins and supplements are usually a waste of money. Usually! There are some vitamins and supplements that do provide real health benefits when taken as a regimen, especially for specific populations with particular dietary needs, like vegans or the elderly. For the rest of you, you probably only need these four. According to nutritionist Ryan Turner of Top Balance Nutrition, this is the only vitamin of the rank-and-file (vitamins A, C, D, etc.) that's worth taking for most people. Vitamin D is also one of two supplements Dr. Lamm takes himself. Why? Well, vitamin D is in relatively few foods (mackerel and salmon are your best bets). However, your skin turns a form of cholesterol into vitamin D3 when it's exposed to sunlight. Since some people rarely see the sun, a supplement may be advisable, particularly in the winter. In addition, a 2013 analysis of 42 separate studies found that vitamin D supplements did in fact correlate with a longer life span. The caveat, of course, is that they have literally no idea why. 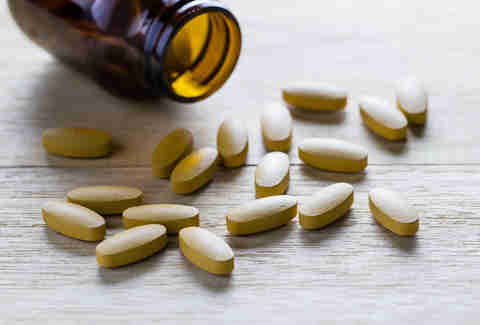 According to certified dietitian Megan Wolf, folic acid (a kind of B vitamin) is useful for women who are trying to get pregnant, or may become pregnant, as deficiencies of folic acid have been linked to numerous birth defects. In fact, commercial grains are fortified with folic acid for this very reason, since the incidence of nasty birth defects like spina bifida is greatly decreased when a pregnant woman gets adequate folic acid. Fortified flour is still where most people, men included, get their folate. With low-carb and gluten-free diets on the rise, though, it's worth thinking about supplementation, especially if you're trying to get pregnant. While not likely to become pregnant himself, Dr. Lamm says he's been toying with the idea of folic acid regimen, as it has other potential benefits. Turner says that, for some of the athletes he consults, he may recommend an iron supplement. When you're exercising at that level, your red blood cells literally swell from carrying so much oxygen -- a process that demands iron. Sweating a lot, or a vegetarian diet, can also lead to relatively low levels of iron, which, if severe, can cause anemia, especially among women. Turner cautions that you need a blood test before you can make a judgment about your iron levels, and whether you might benefit from a supplement. Yes, it is good for putting on your nose if you are pretending to be a lifeguard at a party. But it's apparently also good for your immune system. Taking zinc within 24 hours of the first sign of illness may reduce the severity, duration, and recurrence of the common cold. While popping a zinc lozenge may be a good move when you get the sniffles (and is certainly more effective than vitamin C), taking zinc on the regular may not be advised, since too much zinc can cause its own problems. It's important to acknowledge that individuals have unique dietary needs, and that this isn't a hard-and-fast set of rules that works for everyone. Rather, this is a list of suggestions for your average healthy person, someone who meets most nutritional needs through a balanced diet. 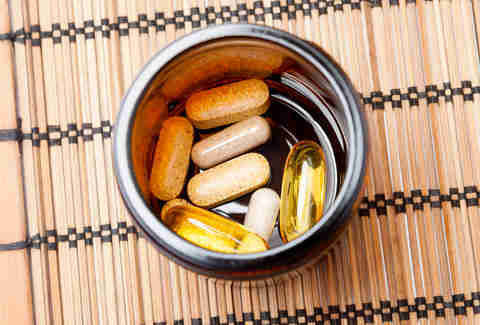 There are other examples of vitamins that can help you with a particular condition. For example, niacin, a kind of B vitamin, has been proven to reduce cardiac episodes in high-risk individuals, and probiotics may be beneficial for those with gut issues, though there's no definitive science on how broadly that may apply. Vegans need B12. And so on. 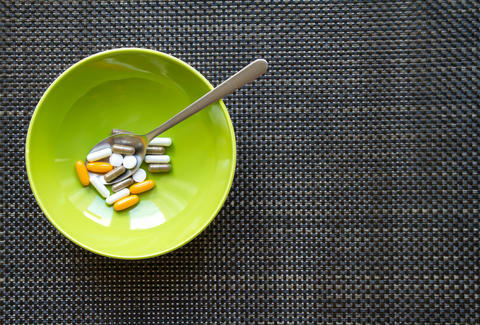 By and large, that's an example of how you should think about vitamins -- as measures you can take to address an actual ailment or deficiency, not benign health-boost capsules you should ram down your gullet before you don Lululemon and hit the gym. For the record, Drs. Lamm, Wolf, and Turner all think vitamins should be under more scrutiny than what the FDA currently offers. So ditch all your extra pills, eat your veggies, and get it together, FDA. John Marshall is a writer based in New York, and would like to add that vitamins are also useful if you need neon urine. Follow him to the docks, or @brunodionmarsh.